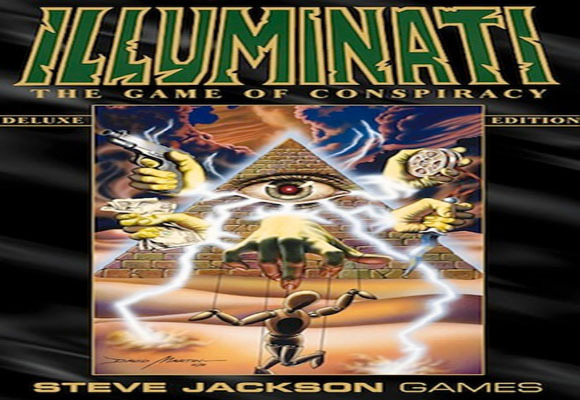 Japan Earthquake : Illuminati Card Game Shows Japan Earthquake Was Pre Planned. “Combined Disaster” card of Illuminati Card Game proves that – The Japan Earthquake disaster was planned to bring down Japan. They had combined disasters as shown in card e.g Earthquake-Tsunami – Nuclear power plant radiation leakage. And the 8.9 earthquake started at 2:47 local time which also matches the “Combined Disaster” card clock time too. Illuminati Card Game “Combined Disaster” card also support the claim of Benjamin Fulford , the horrific earthquake weapon HAARP which attacked Japan on March 11, 2011 resulting in 10 meter long tsunamis along much of Japan’s coast line came from rogue elements of the U.S. government located in underground bases in New Mexico and Nevada. * That one tower was going to be struck first; this picture accurately depicts the moments between the first tower strike and the second. * The card accurately depicts that the place of impact is some distance from the top of the twin towers. The plane hit in this approximate area of the first tower. How in the world could Steve Jackson know this fact? However, what does the caption to this card mean? It says, “Terrorist Nuke”. Now, what could this possibly mean? The Twin Towers were not destroyed by a terrorist nuclear device, or were they?In Bali Blast, the scientific data suggested that the hotel was taken down by a micro-nuclear device of about 0.10 kilotons . One can only ask: was a micro-nuclear device used at the base of the Twin Towers as well? That kind of small, but nuclear, explosion would account for the sudden manner the reinforced concrete and steel shell simply crumbled into dust as it fell. That kind of nuclear explosion would also explain the tremendous heat that stayed at “Ground Zero” for several months after 9/11. Isn’t this the situation depicted here? This card shows a fire burning mightily in the center courtyard of the Pentagon, but the rest of the building looks undamaged enough so that normal activities could continue unimpeded!Thus, these two cards literally depict both of the strikes of 9/11: against the Twin Towers first and then against the Pentagon. This kind of accuracy 6 years before the attacks is possible only if one knows the Illuminati Plan very thoroughly..